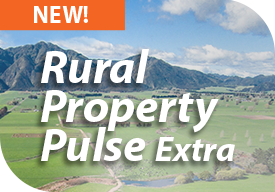 Reviewing the 2017/18 year in rural property, the high level of sales activity during May and June is unusual, bucking traditional trends, and indicating increased listings on the market in late winter and early spring. Mycoplasma bovis and changes to overseas ownership regulations are the major current influences on dairy investment decisions, and are holding the rural property market’s most significant sector in check. However, farmers able to rationalise them will be well placed to make the most of this season’s positive payout forecast. Mycoplasma bovis is taking a psychological and financial toll on any farmer whose animals are infected. Several are banking their compensation, settling up and ending their farming careers. In addition, the outbreak is also affecting the wider rural property market, initially where the incursion is already detected, though eventually flowing through to other regions. Farmers now have a compelling incentive to make themselves selfsufficient. In affected regions, demand for smaller blocks and grazing farms has therefore risen sharply, as farmers seek to maintain herds without sending stock out to other properties,opportunities arise for owners of suitable dairy support land. Where the outbreak has been detected, blocks are therefore rising in price. Expect the same to happen elsewhere as forward-thinking farmers work out how best to mitigate their potential risk. As the Mycoplasma bovis incursion is addressed, all reputable rural property agents have been issued with kits and trained to take appropriate biosecurity steps every time they enter or leave a farm. Another influence on dairy investment decisions is last December’s ministerial directive from the new government to the Overseas Investment Office. This sought to ensure any benefits from foreign investment in rural land ‘are genuinely substantial and identifiable.’ It also required consideration of environmental, social and cultural goals, alongside the economic benefits of foreign ownership. 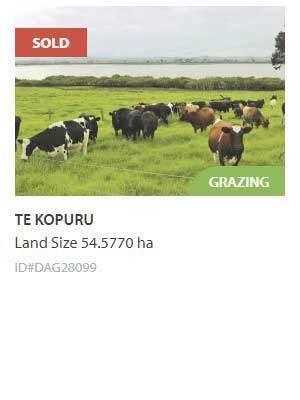 This sent a message to foreign investors that chilled the market for farms valued above $15 million. Potential purchasers of large properties have diminished in numbers. Local buyers with the capacity to spend that much, while withholding resources to either add value to the property or the wider economy, are a select few. 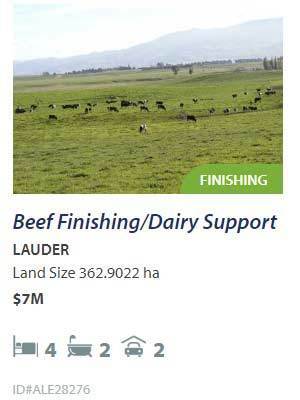 Contrary to what some contend, this has subdued the top end of the dairy property market, as will gradually become apparent over the next few years. Anyone whose property might previously have attracted an overseas buyer should forget about holding out for that party to appear. Local buyers are now in the ascendant. Vendors must find buyers closer to home, within the local market, and should therefore seek out rural property specialists with the appropriate skills and networks to assist. With their overseas competition held back, local purchasers can afford to be even more discriminating. While the outbreak and the overseas investment directive have affected sales, location remains an important factor.